New Tax Act - Bus. Since 1980, Patsavas & Patsavas, Ltd., CPAs has been providing quality, personalized financial guidance to local individuals and businesses. Patsavas & Patsavas, Ltd., CPAs's expertise ranges from basic tax management and accounting and payroll services to more in-depth services such as financial statements and financial planning. Our firm partners are members of the American Institute of Certified Public Accountants. As such, the firm must participate in the AICPA Peer Review program. This program was designed to ensure that strict professional standards are followed by AICPA member organizations. We have undergone a Peer Review every three years since the program began and the program was voluntary. It is now a requirement. The reviewers have issued the highest evaluation that can be achieved on each of our reviews. Accurate and timely accounting information is a necessity for any successful business. Patsavas & Patsavas, Ltd., CPAs can assist you on either a temporary or on-going basis. Due to the size of our firm, our clients receive incomparable, personalized quality service. By combining our expertise, experience and the team mentality of our staff, we assure that every client receives the close analysis and attention they deserve. Our dedication to high standards and work ethic is the reason our client base returns year after year. Our mission is to help clients maintain financial viability in the present, while taking a proactive approach to achieve future goals. This requires open communication to reach an understanding of our clients' needs through research and sound analysis. Patsavas & Patsavas, Ltd., CPAs is dedicated to meeting these goals with high standards of excellence and professionalism. We have been a staple of the greater Chicago business community for years, and pride ourselves on the level of esteem we have earned. Our dedication to hard work has earned the respect of the business and financial community in and around the greater Chicago area. We believe this to be a direct derivative of our talent and responsiveness to our client base. Whether you are a current or prospective client, rest assured that individuals and businesses who choose Patsavas & Patsavas, Ltd., CPAs receive competent and timely advice. Chris earned his degree in Accountancy from the University of Illinois at Urbana-Champaign. He also has degrees in Mathematics (Departmental High Distinction) and Physics (Departmental High Distinction) from the University of Illinois at Chicago. He is a member of the Sigma Pi Sigma Physics national honor society and spent some time as an engineer at NASA in Houston. He is a Certified Public Accountant, a member of the American Institute of Certified Public Accountants and Illinois CPA Society and is an Eagle Scout. He is chairman of the board of commissioners of the Palos Heights Fire Protection District. Chris is a private pilot, and avid reader and bicyclist. He is married with three grown children and resides in Palos Heights. 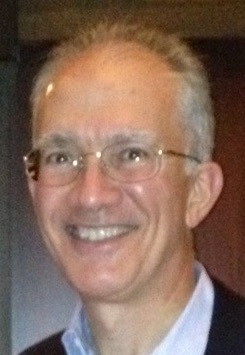 Jim earned his degree in Business Administration from Loyola University of Chicago. He is a Certified Public Accountant and a member of the American Institute of Certified Public Accountants and Illinois CPA Society. He is board chair of the Legacy Fund for St. Nicholas Church in Oak Lawn, and is a founding committee member and volunteer for over 25 years for the Diocese of Chicago Junior Olympic program. He sits in advisory capacity for many other not-for-profit organizations. Jim is an open water scuba diver, and avid golfer and basketball player. He is married with two children and resides in Orland Park. © 2019 Patsavas & Patsavas, Ltd., CPAs All Rights Reserved.